The fist what you need to do when you will follow intstallation - you need to replaced DBHOST, DBNAME, DBUSER and DBPASS with your database credentilas to import sample data. 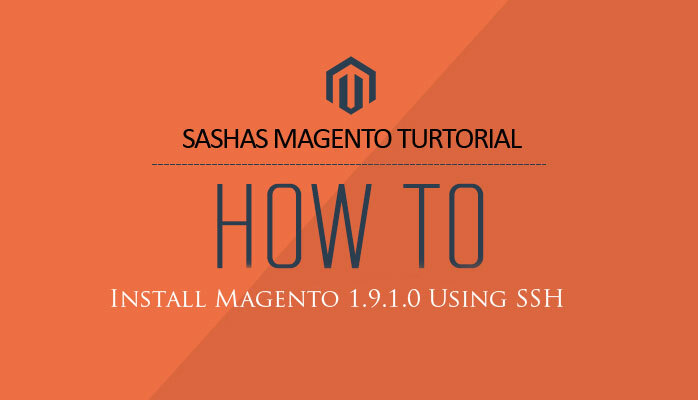 In case you are installing magento without sample data you dont need to to perfom this steps. As you can see second portion of code shows example how to install magento community 1.9.0.1 over ssh without sample data and it doesn't require any database credentials. Also in case after installation when you open System->Configuration->Magento ® Connect-> Magento ® Connect Manager and there is now modules shown please perfom the last step from terminal to activize magento pear downloader.